Road Trip: The Land of Est! This is the land of est … the highest, the lowest, the largest, the saddest, the oldest, the greatest, the longest and perhaps other ests you may discover for yourself along the way. US Highway 395 runs for 557 miles from San Diego to the Oregon state line, with all but 87 miles of it in California. It begins in Hesperia and runs through the Mojave Desert (the driest of all North American deserts). Then it enters into the Owens Valley, which, at 4,500 feet above sea level (ASL) is flanked by the Sierra Nevada to the west and the White and Inyo Mountains to the east. Peaks on both sides rise above 14,000 feet ASL making this one of the deepest valleys in the United States. Just beyond Bishop the road begins to climb alongside the Sierra Nevada with its highest point at 8,138 feet in altitude at Conway Summit in Mono County. The road passes four summits on its journey northward then at Topaz Lake it dips into Nevada for 87 miles. After one final summit pass, Simee Dimeh Summit, the road exits the mountains and follows the receding escarpment of the sierra and into the urban areas of Carson City, Reno and Sparks. Returning to California US Highway 395 runs through Sierra, Lassen and Modoc Counties, serving the towns of Susanville, Ravendale, Termo, Madeline and Likely. At New Pine Creek, CA alongside the eastern shore of Goose Lake it enters Oregon and continues north to the Canadian border. The land of est is here in the Owens Valley between Lone Pine and Bishop. In just 60 miles along this splendid route you will find a world of adventure and fascination. You may find your …est! Situated just south of Lone Pine at the junction of US Highway 395 and CA State Route 136, this beautiful facility is operated by federal, state and local governmental agencies, including the US Forest Service, Bureau of Land Management, National Park Service, Los Angeles Department of Water and Power, Inyo County, Mono County, California Department of Transportation, and California Department of Fish and Wildlife. Here there’s a wonderful view of the highest summit in the contiguous United States – Mt Whitney, rising to 14,505 feet ASL. It is also the gateway to the lowest point in the United States, Badwater Basin in Death Valley. These two points are just 84.6 miles apart in distance, yet worlds apart in climate, ecology and character. The summit of Mt. Whitney sits well above the tree line and very few plants grow near this all but barren summit. Its only animal visitors are transient species like the phoebus apollo butterfly and grey-crowned rosy finch. Hikers are a more numerous visitor in the summer months and the climb to the top of this mountain requires a permit and diligent planning. Mt. Whitney is the most frequently climbed mountain peak in the Sierra Nevada, and perhaps in the US. The staff at the visitor center can help you plan for a future adventure to hike to the top of Mt. Whitney should wish to add this to your list of achievements. Badwater Basin is 282 feet below sea level and is accessible from the visitor center by road via Panamint Valley and into Death Valley. Winter is a wonderful time to visit the basin when temperatures are warm and pleasant. Summer temperatures regularly reach or exceed the 120deg F mark and Death Valley holds the record for the highest reliably recorded temperature in the world of 134deg F – a record set in 1913. This vast salt flat and small spring-fed pool at Badwater Basin also appears barren, yet it is home to some animal and plant life, including the pickleweed, small aquatic insects and the Badwater snail. 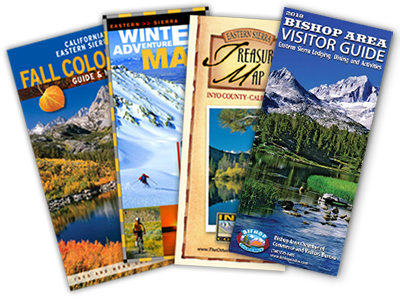 The Eastern Sierra Interpretive Association (ESIA) operates the Discovery Bookstore at the Eastern Sierra Interagency Visitor Center where literature and information about Mt. 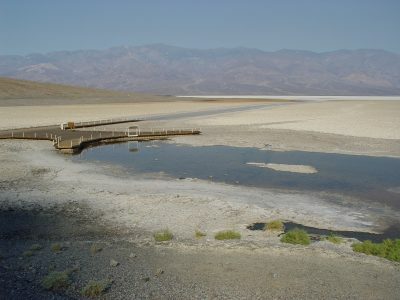 Whitney and Badwater Basin, plus many other wonderful attractions in this area can be found. In addition to the natural wonders of this area an impressive display about the Los Angeles Aqueduct is a major feature of the visitor center. The aqueduct has been a controversial and contentious project since its inception and is impressive in its size and scope. The history is chronicled in reports, photographs and artifacts – the largest of which is a section of the pipe – all testaments to the ingenuity and perspicacity of humans. The Eastern Sierra Interagency Visitor Center is open daily from 8:00am to 5:00pm. 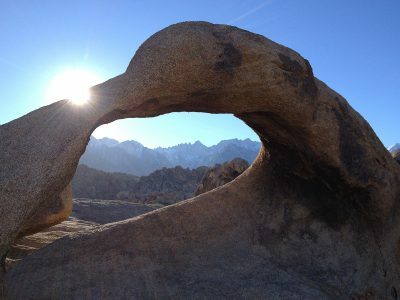 The Alabama Hills, nestled in the foothills of the Sierra Nevada just west of Lone Pine, is one of Hollywood’s favorite filming locations. This monumental landscape provides a myriad of settings for movie backgrounds and evocative scenes. The beautiful rock formations of the hills bordered by a vast open plain rising majestically to the snow capped mountains beyond has been a prime location since the early 1900s. This backdrop has been used to portray numerous and various settings from around the world including that of the valleys of the Himalayas (in Gunga Din, 1939), the Arabian Desert (in Iron Man, 2008) and the ever-evocative American Wild West (in Bad Day at Black Rock, 1954). 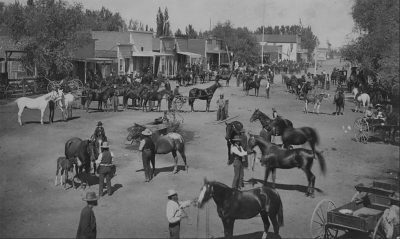 It was this essence of the Wild West that originally drew producers here and hundreds of western feature films and TV shows were set in this diverse and expansive landscape. The first documented production filmed here was “Round Up” almost 100 years ago and the area continues to be a sought-after location for feature films, TV shows and commercials. The museum houses an extensive collection of original costumes, vehicles, props, posters, and other memorabilia. It is a wonderful representation of the industry, its producers, directors, actors, crews, and entourage who visited here and created the films that will entertain for generations to come. Spend a couple hours in the museum then take a self guided tour (a brochure is available at the museum) of Movie Road in the Alabama Hills and get an up close view of the actual locations of so many pictures filmed here. See Hollywood’s largest back lot. During World War II the US government ordered the internment of almost 120,000 Japanese American citizens and resident Japanese aliens. Men, women and children were forced to leave their homes and detained in remote, military style camps. Here, at what was then called the Manzanar War Relocation Center, which was one of ten such camps in the US, over 10,000 people spent all or part of WWII. Now this large tract of land (814 acres of an original 6,200 acres), with a few remaining original structures, and the Manzanar Visitor Center is a reminder of a period in our history that should not be forgotten. The center has 8,000 square feet of exhibits, a bookstore, and a theater that shows the award winning 22-minute documentary, Remembering Manzanar. The center’s extensive display covers over a century of history from 1885 to the present, with its primary focus that of the internment camp. Among its exhibits is a large-scale model of the Manzanar War Relocation Center crafted by former internees, historic photographs, audiovisual programs, and artifacts. A centerpiece of the exhibit is a large graphic with the names of over 10,000 Japanese Americans who spent many years in this detention facility. 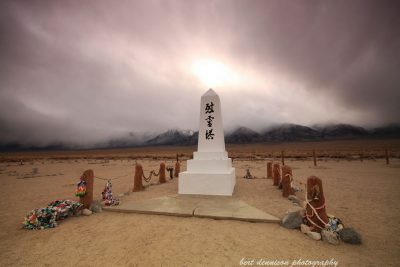 A commemorative event is held every year in April and many surviving former internees and a growing number of young people travel to Manzanar to remember and pay tribute to those who were detained here. The site, under the auspices of the National Park Service, is open every day from dawn to dusk to vehicle traffic and the visitor center is open daily. 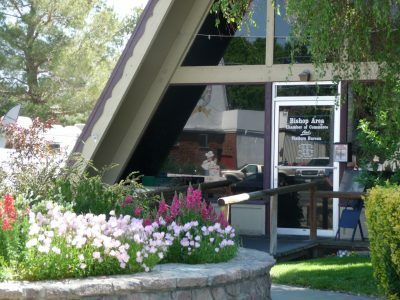 Located in Independence, this delightful museum was founded in 1928 and has been operated by the County of Inyo since 1968. Its mission is to collect, preserve, and interpret objects and information related to the cultural and natural history of Inyo County and the Eastern Sierra, from Death Valley to Mono Lake. Along with about 27,000 photographs that date from the late 1800s to the 1950s, the museum also houses an extensive collection of artifacts. It also holds an archive of History and Family Files, containing newspaper clippings, original documents, and other information about the towns, people, and subjects that have played a role in the history of Inyo County and the Eastern Sierra. Management of this varied collection requires a computerized database of 15,500 records and museum staff typically handles about 200 requests for information or photo reprints every year. The entire collection is held in public trust and is an outstanding resource for researchers. Permanent exhibits showcase aspects of life and people in the Eastern Sierra such as; Transportation, Native American communities, the LA Aqueduct, Norman Clyde and much more. Special and rotating exhibits are curated from the extensive collection of photos and artifacts in the museum archives. The museum is open daily from 10am – 5pm, except major holidays, and admission is free (donations are optional and appreciated). 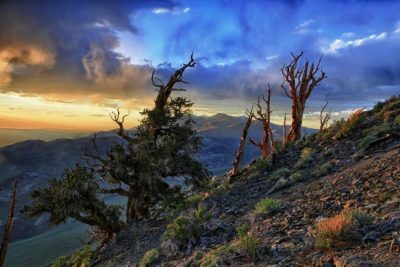 The Schulman Grove and Schulman Grove Visitor Center is open annually from mid-May through November, weather permitting, and this is where you can see these ancient trees. From the visitor center at 9,846 feet ASL the Methuselah grove trail makes a 4.5-mile loop. 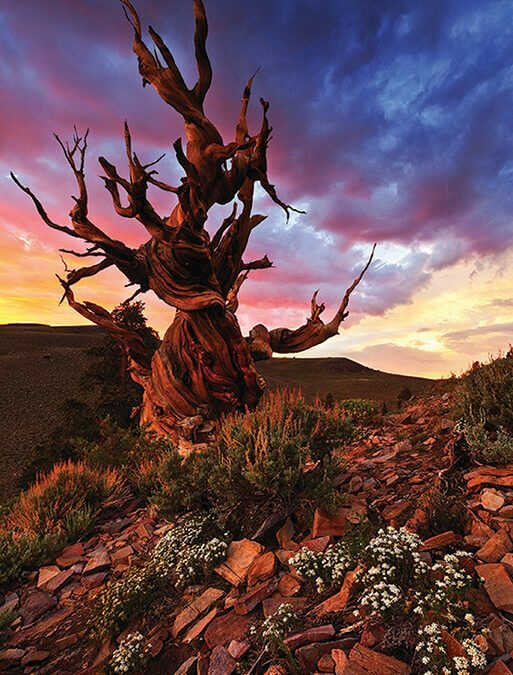 Here in the Methuselah Grove, unmarked to protect its identity, lives Methuselah which is 4,847 years old. Just two years ago an older tree, unnamed and also unmarked, was determined to be 5,065 years old. It sprang to life in the year 3051BC and for over 5,000 years it has lived on this cold, rocky mountaintop that has remained largely unchanged. For five days, every Memorial Day weekend, more than 30,000 fans from around the country (and world) converge on Bishop for a world-class equestrian event promoting the legacy, heritage and talents of the mule. It is a tradition that began in 1969 as a send-off event for local packers and outfitters to get the summer season going. 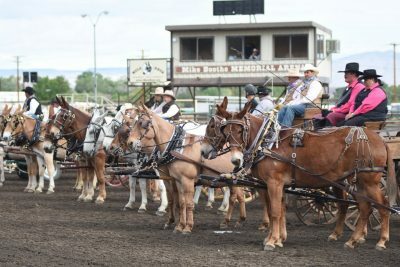 Now over 700 mules with their trainers, riders and packers attend 14 mule shows that include equestrian disciplines such as: Western, English, youth, barrel racing, gymkhana, packing, shoeing, chariot racing, team roping and driving. The event features excellent entertainment in the form of a country music concert and lively country dancing. 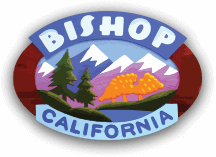 Stop in at the Bishop Visitor Center where the knowledgeable and friendly staff can show you where to go and what to do to and give you information on more great activities and adventures in Bishop. When is this road trip best? This is a wonderful road trip any time of year, but some aspects of this tour are better during certain seasons. For example: Death Valley is best during the cooler months from late Fall to early Spring, and the Bristlecones are only accessible by vehicle during the summer months. Of course Mule Days is always held the week of the Memorial Day weekend. Perhaps you might spend a few days making this journey or maybe you visit the Eastern Sierra often and can devote a day to each of these discoveries. Whenever and however you choose to take this 60-mile journey of discovery it might just be your sweetest, greatest, funest, happiest adventure. Find your est … on highway 395!